Today, a few billion humans live in affluence. Their unsustainable societies have social safety nets made possible by nonrenewable energy. When they are disrupted by hurricanes, earthquakes, or famine, food relief is usually shipped in from other regions, preventing mass starvation. For most of the human saga, each clan or community was on its own, far less likely to be rescued by outsiders. The San people have the oldest DNA of any living culture. Their DNA is the genetic foundation of nearly all modern humans. Until recent decades, they had a sustainable safety net, but herders, farmers, and others have pushed them off most of their traditional territory. The San now inhabit the Kalahari Desert. On average, two of every five years are drought years, and severe droughts occur one in every four years. Elizabeth Marshall Thomas has spent a lot of time with the San. She wrote her first book about them in 1958, and her third book in 2006. Like any intelligent culture, their safety net included careful family planning, to avoid the suffering caused by overpopulation, and its trusty companions: environmental degradation, hunger, and conflict. Because of low body fat and hard work, San women began menstruating later. Some did not have monthly periods. Children were usually nursed for about four years, which further reduced mom’s fertility. Most of the women had one to four offspring. Nomads moved frequently, and belongings and infants had to be hauled long distances. A woman could only carry one infant, so just one twin was kept. Richard Lee wrote about the San. Their primary food was mongongo nuts, which dropped once a year, but could be gathered all year long. Their secondary food was meat. The Kalahari provided them with about 100 edible plant species, which they were careful not to overuse. The San expected periodic times of scarcity, so they reserved some plant species for drought food. Portions of their territory were set aside for lean times. John Reader wrote about an extreme drought in Botswana that lasted three years, resulting in the deaths of 250,000 cattle and 180,000 people. The San didn’t starve. Each week they spent 12 to 19 hours foraging for their sustenance. They knew how to live. The San thrived by carefully adapting to their wild ecosystem. Consumers thrive by eliminating wild ecosystems and replacing them with forest mines, soil mines, mineral mines, permanent settlements, and complex industrial systems. Our way of life cannot survive a three year disconnect from fossil energy, or three years of abnormal weather. In the far north, the Eskimos also had safety nets. The super-frigid arctic was an immensely challenging habitat for hairless tropical primates. Beyond seasonal eggs and berries, little foraging was possible. Meat was the primary food, and hunting was never reliable. Storing meat or eggs in a treeless land inhabited by hungry polar bears and wolves was not easy. Their food preservation methods would gag suburban consumers. In Greenland, Knud Rasmussen got salmonella after eating kivioq, a yummy delicacy made from dead auks sewn inside a seal gut and left to rot for two months. This was before antibiotics. He died. Life was hard. 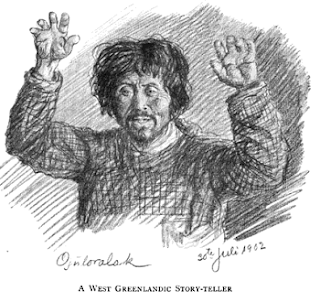 Knud told the story of a man named Qumangâpik, who had four wives and 15 children. The first wife froze to death, the second was buried by an avalanche, the third died of illness, and the fourth froze to death. Of his 15 children, one starved, four were frozen, and five died of illness. Qumangâpik froze to death, along with his wife and two little children. Knud’s buddy, Peter Freuchen, went to Greenland in 1906, built a trading post, married a native woman, and wrote about wild Eskimos — before their traditional lifestyle had been destabilized by disease, guns, booze, bureaucrats, and missionaries. In the 1920s, during a severe storm, his sled dogs refused to continue. So he crawled under the sled and took a nap. When he awoke, his left leg was frozen solid. It thawed, rotted, and had to be amputated. In the arctic, safety nets had to rely far more on population management. Survival depended on the lads who brought the meat home. Without hunters, everyone starved. Second in importance was their wives, who could bear more children once the lean times had passed. Least important were the elderly and children, especially female youngsters, who would not grow up to be hunters. There were times when starving mothers strangled and ate their own children. When hunting was bad, suicide was common. Elders would take one-way walks into the frigid night. Old women sometimes asked a son or daughter to stab them in the heart with a dagger. Old men sometimes asked a son to hang them. At the conclusion of a joyful farewell party, father and son would rub noses, and then dad would be hoisted up, to begin his journey to the other side, where game was always abundant. “There is absolutely no cruelty connected with this,” Freuchen emphasized. “Fear of death is unknown among them, they know only love of life… they believe themselves to be the happiest people on earth living in the most beautiful country there is.” There was no shame in eating the dead, or killing and eating children and dogs. Survival required it. It was OK.
Vilhelm Moberg described family planning in heathen Sweden. When a child was born, the father decided its fate. If he allowed it to live, it was sprinkled with water and given a name. Sickly and deformed infants were exposed (abandoned outdoors). In times of famine, even healthy newborns were exposed, especially girls. The old and infirm were dispatched by pushing them off the ancestral cliff (ättestup) or by clobbering them with the ancestral club (ätteklubbor). Anyway, contact with civilization has now succeeded in eliminating most sustainable cultures. Infectious diseases have hammered wild people everywhere. Outsiders introduced the San to dogs and horses, which made overhunting far easier. They now live in permanent villages where alcoholism, individualism, and violence are common. Their traditional way of life is essentially over. Initially, Freuchen and Rasmussen were proud of their efforts to help the Eskimos enjoy the wonders of modernity. Guns made it far easier to hunt (and overhunt). Guns made so much noise that they scared caribou away — they abandoned their normal migration routes, and entire communities starved. Loud gunfire scared seals away. Seals shot with guns often sank, and were lost. By 1908, Rasmussen had profound regrets. The Eskimos appeared to be on the path to extinction. Gretel Ehrlich visited Greenland several times between 1993 and 1999. Unlike the Kalahari, Greenland had valuable resources to attract greed freaks — cod, seals, walrus, birds, minerals, and so on. Natives became addicted to the money economy, and now enjoy year round access to edible food-like substances imported from elsewhere, fueling population growth. By killing extra fish and wildlife, they earn the money needed for TVs, electricity, telephones, cigarettes, booze, snowmobiles, motorboats, guns, ammo… Many were hunting and fishing as if they were the last generation. Image: “Greenland Storyteller,” from Rasmussen’s book. Ehrlich, Gretel, This Cold Heaven — Seven Seasons in Greenland, Pantheon Books, New York, 2001. Freuchen, Peter, Book of the Eskimos, World Publishing Company, Cleveland, 1961. Freuchen, Peter, Arctic Adventure — My Life in the Frozen North, 1935, Reprint. The Lyons Press, Guilford, Connecticut, 2002. Lee, Richard B., The Dobe !Kung, Holt, Rinehart and Winston, New York, 1984. Moberg, Vilhelm, A History of the Swedish People, Pantheon Books, New York, 1970. Rasmussen, Knud, The People of the Polar North, Kegan Paul, Trench, Trübner & Co., London, 1908. 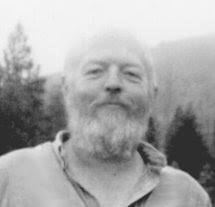 Reader, John, Man on Earth, Perennial Library, New York, 1990. Thomas, Elizabeth Marshall, The Harmless People, Vintage Books, New York, 1989. Second edition. Thomas, Elizabeth Marshall, The Old Way — A Story of the First People, Farrar Straus Giroux, New York, 2006. Yes with out tech development as a vision life is best drink eat and. Die. You embrace. A community. That you never had. "Each week they spent 12 to 19 hours foraging for their sustenance." Sigh. Glad this is documented somewhere. So many try to tell me that people were just merely surviving way back when. Surely, at times they were, but so are we, here in the present day. At least everyone was doing good, honest work then. So many fail to see the ticking time bomb that keeps their lives nice and cushy. Hi Matt! That was "12 to 19 hours" during a three year drought. Every other species of animal lives sustainably, and has for more than a million years. They have perfected "merely surviving." They don't look at their phone 60 to 90 times a day, they don't trash the climate, they don't need psych meds. The blue jays who come to visit me every morning are fully present in reality, fully in tune with the ecosystem, and seem to be very smart and perfectly happy. Let's not think about that time bomb. Let's go shopping!